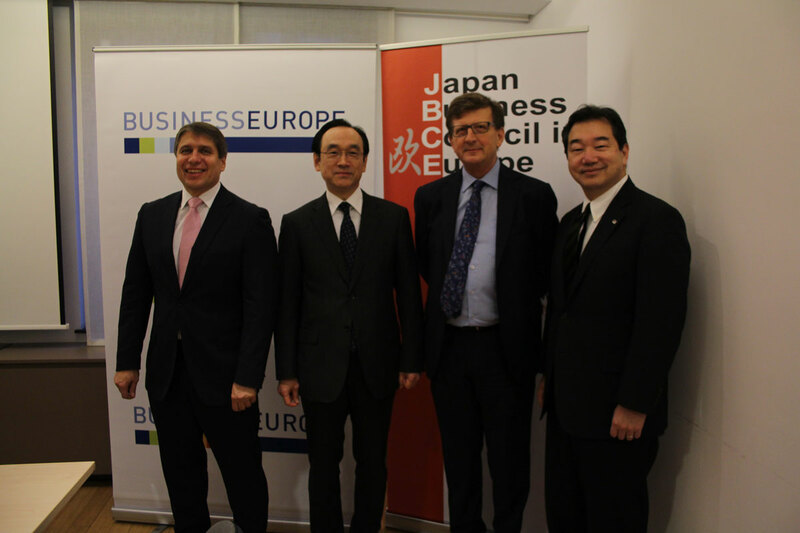 BusinessEurope and KEIDANREN have been encouraging industrial sector-to-sector dialogue to identify mutually beneficial solutions to non-tariff measure (NTM) issues, which are a major subject for negotiation in the EU-Japan EPA/FTA. While efforts to reduce and eliminate NTMs that constitute barriers in both markets should continue, the EU and Japan need to shift their cooperation into a higher gear to strive for a seamless business environment through regulatory cooperation using means such as harmonization and mutual recognition of standards and regulations, but without lowering safety standards. Proactively creating common ground is a priority. Especially when the sentiments on anti-globalization and protectionism are on the rise, defining and implementing an outward-looking trade strategy is definitely needed. Although a number of issues are still pending in the negotiations, through this paper we would like to highlight areas of common ground for European and Japanese businesses in the area of regulatory cooperation. Without an EPA/FTA, it would be difficult to reinforce regulatory cooperation requiring long-term undertakings. The measures cited in this recommendation should be incorporated into the EPA/FTA, including its Annexes, if any, as far as possible. A mechanism should be included in the EPA/FTA to promote regulatory cooperation between the EU and the government of Japan with the involvement of the relevant ministries and agencies on both sides. The EU-Japan EPA/FTA should be concluded as quickly as possible and with the maximum level of ambition in order to serve as the institutional foundation for regulatory cooperation. Along with the EPA/FTA, regulatory cooperation should be promoted through international fora such as the OECD, and the UN Economic Commission for Europe (ECE); bilateral and regional mutual recognition agreements (MRAs); international frameworks organized by regulatory authorities in specific areas such as the International Medical Devices Regulators Forum (IMDRF) and the International Conference on Harmonisation of Technical Requirements for Registration of Pharmaceuticals for Human Use (ICH); adoption of international standards including ISO standards; and OECD guidelines and principles. Regulatory cooperation described below should be conducted across all industrial sectors and areas by relevant government ministries and agencies in a unified manner under political leadership. Adequate human resources and sufficient time need to be invested.